Vittorio Negri Interview with Bruce Duffie . . . . .
Vittorio Negri was born in Milan, Italy, in 1923. 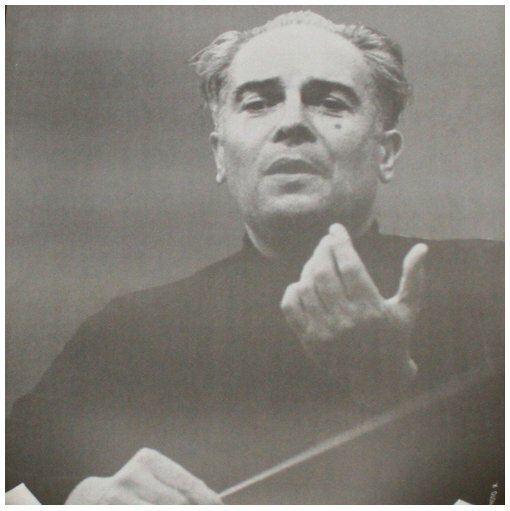 He first studied composition and conducting at the Milan Conservatory of Music, then at Siena under Antonio Guarnieri. 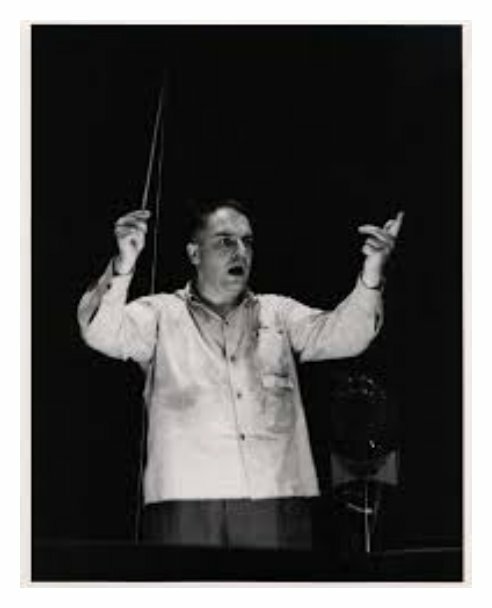 In 1952, after studying under Bernhard Paumgartner at Salzburg, he was appointed Assistant Conductor of the Mozarteum there. Maestro Negri is a musicologist and a founding member of the Societa Italiana di Musicologia; he is also editor-in-chief of the Monumenta Italicae Musicae and has edited numerous works by 17th- and 18th-century Italian composers. He occupied the chair of Chamber Music at the Conservatory of Music of Perugia for two years and, since 1955, has been artistic director of the recordings of the famous Italian chamber ensemble I Musici. Maestro Negri’s musical activities have taken him all over Europe, where he has conducted and recorded with many of the major choirs and orchestras. 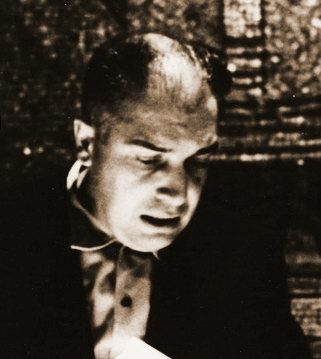 Vittorio Negri made his first appearance at the Ravinia Festival, the summer home of the Chicago Symphony, in August of 1992, leading a couple of single-composer programs. 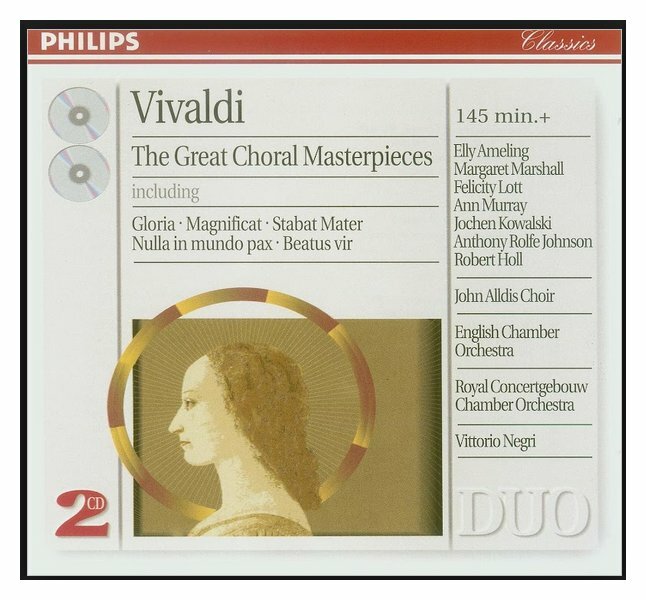 One was instrumental and choral music of Vivaldi featuring the return after a decade of flutist Jean-Pierre Rampal, and the other had the six Brandenburg Concerti of Bach. It was during this visit that I had the chance to speak with this renowned maestro. While setting up the recorder, he mentioned that his “bloody English was not good.” Notwithstanding his opinion, it turned out to be quite good, and he was enthusiastic about the entire subject. This transcript does smooth out a few of the rough edges, but leaves several of his delightful turns of phrase . . . . .
Bruce Duffie: We will just talk about our favorite subject. Vittorio Negri: What is your favorite subject? BD: Isn’t music your favorite subject? BD: Has it always been your favorite subject? VN: I must say yes. When I was like a very small boy, music — good music, I mean — was giving me something special, a sort of excitement, a sort of joy, a sort of feeling good. I don’t know; it is inexplicable. BD: Does it still do that for you? BD: Is it a surprise that almost seventy years later it still gives you that excitement? VN: Yes. I think it’s the presence of God — or something like that — because it is easy to get into a sort of routine and to think that this is just another concert, but the good music is so great that even if I have done many times the same symphony, every time I study again from the beginning and every time I discover something new that I didn’t understand before. I think that our attitude toward the music has to be of great humility, because this great composer has put something so incredible in the compositions, that even I wonder whether they were really conscious on what they put in. Maybe it was just God giving us all this beauty through them. BD: The composer was just the conduit? BD: Are you the conduit to recreate the music? VN: First of all I’ll try to approach this great music with humility, starting from the point of view that the composer is always right. If he would be here I could talk to him, but he’s not here. He just left his message, and our duty is to understand exactly what he wanted to communicate. This is the early Baroque time, when the soul of the men got into the music. They wanted to say something and they did say something. Sometimes it is very easy to understand what it is and sometimes it is less easy, but there is always a message in it. There is always something that we have the tremendous responsibility to understand and to hand over to the audience. That is what I think. BD: Were they saying the same things to the audience in their day as they’re saying to today’s audience? VN: I would say yes because it is the soul of the man, and it’s always the same. It’s sometimes something which could be ignorance, which could be violence, which could be hatred, which could be all the worst things, but the soul is coming from God. This is just the spark of God, and it’s always the same for everybody in this world — for me, at least. BD: You work primarily with eighteenth century music. Without naming names, are there composers today who are writing this same kind of God-given music? VN: This is a very good question because sometimes one could have doubts about that. But I think that good composers still do something like that. The means have changed and the taste of the audience sometime is changed, but a serious, a deeply involved composer cannot go out of this way. He is forced to express something coming from the high sky and from the friendly skies. Let me say the ‘friendly’ and the ‘high’ skies because these skies are really friendly to us, even if we do not realize immediately. We could say, “Oh, what kind of mess is this world,” but it’s us and what we do. We do the mess. BD: Not the inspiration of the music? VN: No, no. Certainly not. BD: Let me ask the great big question, then. What is the purpose of music? VN: The purpose of music is as the purpose of all the arts. It is testimony that there are higher worlds with tremendous beauty. If you hear, for instance, the second movement of the First Brandenburg Concerto, it is a prayer. I make a distinction here. I don’t think that the prayer is just to ask for something. It’s correct to ask for something, but the real prayer is just a thank you. Thanks for all the beauty you have given to us. If you think of it, these great composers like Bach and Mozart and so on gave their music for nothing, practically! We are so rich, and we didn’t pay anything to them. BD: We are rich because of them? VN: Because of them. Yes. BD: Is there a continuous line from, say, Palestrina through Bach, through many composers? VN: Oh, I would say certainly, no doubt about that. The communication was different in the Baroque time — it was much faster than now! It seems a paradox, but it’s not because all of these kings, princes and the Pope and Cardinals were very eager to have the best artists. So they gave instructions to their ambassadors to inform them first of all, not about the politics and whatever, but about the composers, about the virtuosos, about that kind of thing. 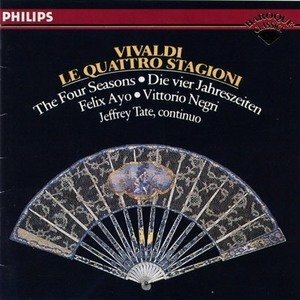 The big explosion of Vivaldi, which is Opus Three, L'estro Armonico, was known by Bach a few years after that. Bach would transcribe many of his concertos for harpsichord or for orchestra and harpsichord in that horse-and-buggy period! There was no fax, no telephone, and no airplane. BD: Are we better off today when there’s the truly instantaneous communication? BD: When you come to an orchestra, you rehearse and then give the performance. Is all your work done at the rehearsal, or do you leave something special for that night of performance? VN: These are very good questions you are putting to me. I try. I say ‘I’ because I’m speaking, but we conductors, we try. I think that my colleagues are the same. We try to do everything during the rehearsals. Sometimes the rehearsal time is short, particularly if the program is longer. I accept it is impossible to have all the time one would like. We could have ten rehearsals for the Brandenburg and still not finish with enough work on everything. VN: It is such great, perfect music in how it is organized! We do our best and everything is in place, but now I’m talking about me, not my colleagues. I know exactly that the me who will make the concert is not the same person who has made the rehearsal. It could happen that during the course of the concert, suddenly a sort of inspiration arrives and tells me for the first time, “Breathe there at this point.” I never thought about this before. This is the big joy to make music with these outstanding musicians because they will understand immediately and will follow immediately. This communication, to be together just to celebrate the great music — I don’t know a bigger joy in life! BD: Are they getting the same inspiration you are at the same moment? VN: I think that there are vibrations coming out. It’s sort of transmitting. I transmit waves, they transmit waves, and we are in touch all the time. BD: Do you get transmissions also from the audience? VN: Certainly. Absolutely! There are people who say, “We can sit home very comfortably, put on a CD and listen to the music and enjoy this.” I agree, but there are two things on which I do not agree. First of all, the CD is an industrial product. It’s as perfect as possible, and sometimes with little tricks it’s improved. If there are mistakes, the mistake is taken out and replaced by other takes. I don’t know that the mistake is necessary but it’s part of the human weakness, and to avoid completely these little things would make an un-human performance. It’s too perfect, and man is not perfect. So I prefer very much a little imperfection just for the moment. Little things might be not be quite together, but the expression for me is the most important thing. Yesterday I heard the second movement of the Sixth Brandenburg with the two violas, and I really cried! They were so deeply involved, so playing with the heart and with the soul, not with the fingers. That is great! It was the same with the second movement of the Third Brandenburg and the second movement of the Second Brandenburg. It was all do the same. BD: If you heard those on a record, would you cry a little less, perhaps? VN: Another thing with the record is that one is alone, alone or with friends, but at the concert the audience is there. It is a sort of community, in my opinion a religious community. The fact that the audience is there listening to this music and sees the people making music is something that makes both the audience and the musicians more rich. There is this transmitting of these waves going and coming. Now this is very important, I think. It is very important to everybody. BD: So no matter what religion we are, we are all praying to Orpheus at that time? VN: There is only one religion, as there is only one God, and we are all brothers, like Beethoven and Schiller say in the Ninth Symphony. BD: You’ve conducted a lot of eighteenth century music. Do you also conduct some newer music, too? VN: Yes, I do. Not some so-called avant-garde music. I’m not criticizing, but it’s difficult for me to find the kind of expression I’m looking for. But in modern music there are incredibly good things also. It’s really worth it to do them and to give them to the audience, because without them there is the danger that the audience gets in a habit of only wanting to listen to the same things, and then it is difficult to push out of this habit. To compare different performances is a sort of a sport, and is not very healthy. BD: Do you also explore for the forgotten composers of the eighteenth century? VN: Forgotten composers, I must say yes, of course they deserve to be known. I made some research because I like this, and part of my formation is musicology. 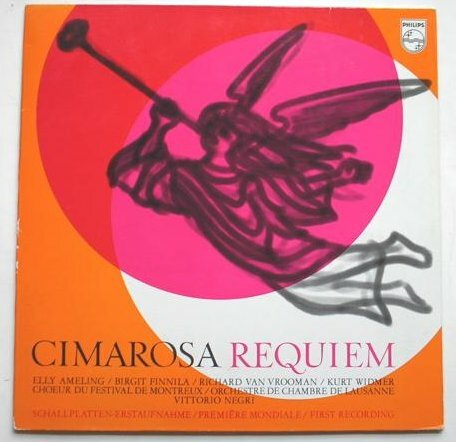 I was among the founder members of the Societa di Musicologia, and I found, for instance, a Requiem by Cimarosa, which is a beautiful piece. Cimarosa is certainly a very good composer, but if you think that one year after the death of Mozart, he arrived in Vienna and got the salary of twelve thousand ducats, while Mozart got only eight hundred, then something is wrong in this evaluation of them. 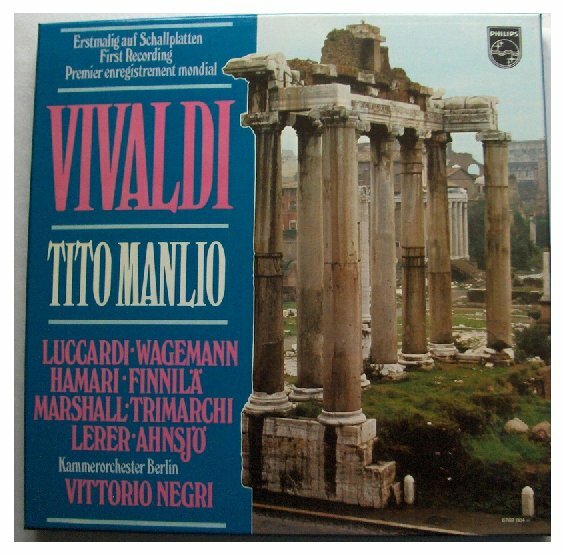 I do a lot of Vivaldi because I thought there was injustice was done against him — calling him a man who was only interested in money, and that he was a false priest because he had this relationship with a girl. That he had the relationship with the girls is uninteresting for me. VN: Well said! But if this could have given him some inspiration to write what he did, why not? BD: So the relationship with the women helped him put more spark into the music? VN: I would say, yes, because music is love and you feel this from him. 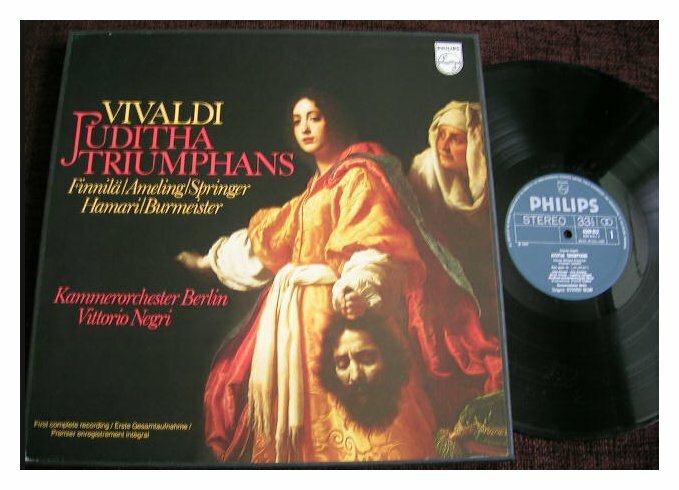 If Vivaldi would have been as greedy as some of the critics say, he would have died as a rich man. But he had to leave Venice after thirty years because he was no more fashionable, and he went to Vienna where he died in poverty, really poverty. This was fifty years before Mozart, and we do not know where he is buried — as we do not know where Mozart is buried. I think there is a sort of justice to this because they do not belong to this world. They belong to a better world somewhere. BD: So in a way it’s good that we can’t go to their graves — it’s better that we go to their music? 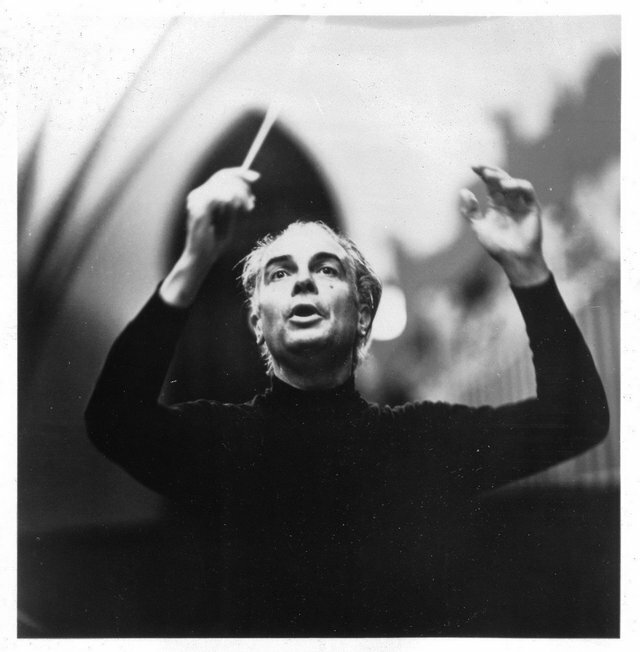 BD: You conduct a lot of music from earlier times. Where do you come down on the original instrument question? VN: That is a very interesting question because period instruments are, in a way, a reaction to the way to play the modern instrument. We can still hear performances made in the thirties and forties with the pianoforte instead of a harpsichord or with the violin played with the huge vibrato, and this really don’t fit with Baroque music. It is not that in those times there was no vibrato at all; there was a sort of vibrato, always. Even before the Renaissance there was a form of expression, not that vibrato started at the beginning of this century just to adjust the notes a little bit or intonation of this kind. It’s also not to say (in a critical way) like some gypsy music where they go “woo, woo, woo!” [Both laugh] It’s a good reaction to this idea. Of course, every exaggeration is not necessarily good. With the old instruments — recorder, flute, for instance — Mozart had no sympathy at all with the flutes, and it’s obvious because these instruments did not have a big sound and the intonation was very doubtful. He wrote two concertos for flute — one better than the other [laughs] — but he didn’t love this instrument. On the contrary, he loved the clarinet very much at the end of his life when he wrote the Quintet and the Clarinet Concerto for Stadler. BD: I really love the basset clarinet. I’m glad it’s coming back. VN: Yes! In the Clemenza di Tito there’s a marvelous part of the aria. It’s great this one, when it was written. I think everything has to be so as not exaggerating one direction or the other. But a good ensemble of period instruments is certainly something very interesting and very pleasant to listen to where there are good players. If not, why should we not enjoy the music because just we play with modern instruments? Let’s enjoy the music; that is the first thing. Don’t be so Calvinist to say, “If Bach is not played on period instruments, it’s not Bach; if Vivaldi is not, it’s not Vivaldi; if Handel is not...” We can enjoy Vivaldi played by modern instruments; we can enjoy Handel; we can enjoy Bach, and this is the important thing for me. BD: Do you conduct a lot of opera? VN: Not a lot, but many I would say, yes. I like very much opera. The big problem is now the directors. Last year I did a Handel opera, and I was very lucky because I had a director not too progressive. [Both laugh] But in spite of that, there were people smoking in the scene. There was a singer running all around, up and down the scene while singing so far away from me, having problems with breath because he was running! [Laughs] But there are people that make much worse things. I have this opinion — these works were done in a certain period with then-current subjects. They were actual like, for instance, Cosi fan Tutti, which was very modern, in a way, or Don Giovanni because Giovanni [winks] heh, heh, heh, any time! Because The Magic Flute is sort of an initiation, all is symbolic, but we do not need just to put it in modern time because then there is a discrepancy between what we see and what we hear. I would leave this very modern scenario and direction with modern works. There are plenty of these. There could be a little different idea than usual, a fantasy, but still in a shape that is not too contrary to the music. In another production, if you hear Handel’s music with period instruments and then you see the harpsichord player was put in the bar of a modern hotel in Baghdad... I don’t know. I would agree even with this direction without period instruments — maybe — but already we have this preoccupation of using everything of the time, so the direction should also be in this time. That is what I think. BD: Even to use the old stage machinery with the outdated rigging and the windlass and everything? VN: They had, some tremendous things! Don Giovanni and Zauberflöte in Vienna in the eighteenth century had big machineries, and there was no electricity, nothing, and they could do all this kind of things! VN: Yes. Sometimes it was a mistake, but nowadays mistakes still happen. BD: Who should be the boss of the opera — the conductor or the stage director? VN: I think that a cooperation is the best result, and that these people are both cultivated and both not fanatic. I hate fanaticism, I hate extremists. It’s quite possible for civilized people to discuss and come to an agreement to do things. If all the responsibility is on the shoulder of one man, it’s not impossible that the man becomes a dictator, and this also is not good. A good balance is the perfect situation, and this boss person, if he is a civilized person will make it is easy to understand each other and not just to profit off the weakness of the other. It’s always wrong to profit. Each should say their own idea and then see what is positive about one and the other and then put them together. BD: And make the finished product better from the two? VN: Exactly because that difference is what makes humanity rich. Everybody has his own idea, developed it, thinks how to do the best, and if the two of them come together and they put the best of both together, then the result is certainly very good indeed. BD: Is the composer at all a dictator? VN: I wouldn’t say so. 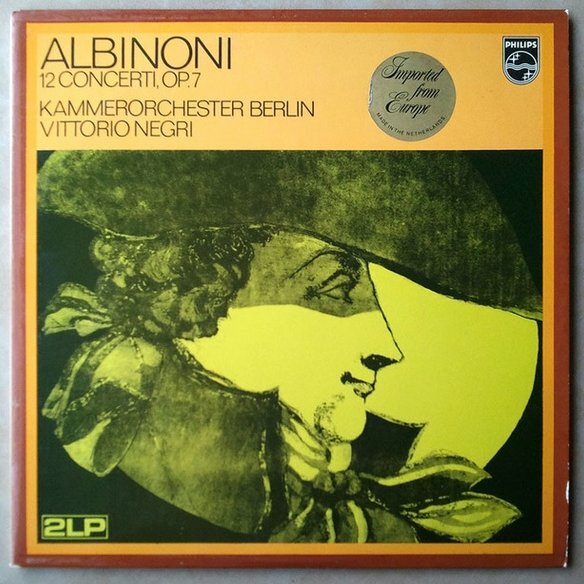 Beethoven could be taken as a dictator, because his way says, “Sit down and listen what I have to tell you.” But not Mozart, not Bach, and even not Beethoven because if you hear any piece by these composers, you sit there and you listen to it and are captivated. BD: Is the music that we’re talking about for everyone? BD: Then how do we get the rock audiences and the pop audiences to come to more classical concerts? VN: That is a good question, but I don’t know. I don’t have an answer to this because it’s this sort of over-fanticism. There are people who go to classic concerts that don’t want to hear anything else, and there are people who go to pop concerts that don’t want to listen to anything else. Maybe it is also to let their energy explode because you can see scenes at the pop concert that you will never see at the classic concert. Maybe these young people need to shout, to roar, to strip themselves! [Both laugh] But with time I think that any manifestation of a human being has a positive part, and with age one’s energy is a little bit calmed down. BD: So as they get older, they’ll come to different kind of concerts? VN: I would say yes. [Laughs] Sorry for laughing, but your question was, “Are you optimistic about the future?” and you added, “of music.” Because of the other, I don’t know whether it’s possible to be optimistic, but let’s be, because life is the greatest thing existing, and what we need is more respect for life, more love for other people. It was all that was said centuries ago. We have just only to read or to feel this and everything is said. We don’t need many things. We don’t need much to be happy. VN: Just music. Once I heard an interview with Artur Rubinstein, the Polish-American pianist. He was seventy-five or something like that and he said, “You can tie me to this chair and I will be happy. I have so many things to think about. A flower is a joy. Beautiful ladies are a joy.” I remember having seen him in a restaurant called Kaiser, opposite the Concertgebouw in Amsterdam. He was sitting near the big Dutch window eating a gorgeous meal and drinking very good wine. When he was finished he took a huge cigar out of his pocket, light the cigar and was looking out to the beautiful girls going by. Then I understood more about what he said during this interview. “All this beauty costs nothing. It’s there to be enjoyed.” If people would realize that it’s useless to make money and all these things because one day one has to go and to leave everything here. Probably the son and the daughter will spend it all in two years what the father had put together. So there are so many things he said to enjoy if I am tied here; I still would be happy. It’s a great lesson. BD: Does it please you to know that you are leaving to history the recordings that you have made of many of these pieces? BD: You’ve conducted all around the world. Are the audiences different from country to country and city to city? BD: They would just leave? VN: Just leave. On the other hand, I must say I got the best reviews from French critics. There are some of them who really understand. They are very fine people. They understand this and they write with beautiful words because French can be a very beautiful language. If they don’t like someone, they kill him. There is no medium — there is love or hate. BD: Back to extremes again. VN: Yes, extremes again. The German audience is very good indeed, and reacts slowly. When you are finished with a piece, you have to wait a few seconds before the applause. It’s not because they don’t know that it’s finished — which sometimes could happen. It’s just because the reaction is a little bit slower. BD: They’re not just digesting it? VN: No, no! They are digesting, but they have to realize it’s finished and then decide it’s time to start the applause. They are very good audience. Here in America is very good audience, too. The English also, it’s a very good audience. They are faithful, the English, but I think the Americans also are faithful. Once they like you, they like you for all the rest of your life. It is the same with the Dutch, they are also very, very faithful. BD: Have you conducted in Japan and Asia? VN: I did in Japan. It’s amazing experience because actually I was never able to go through their eyes to understand what really they think. They are extremely gentle, extremely kind. They always say, “Hai.” They never say no because it’s not polite to say no. I tell you this story. In my program there was the Seventh Symphony by Dvořák. 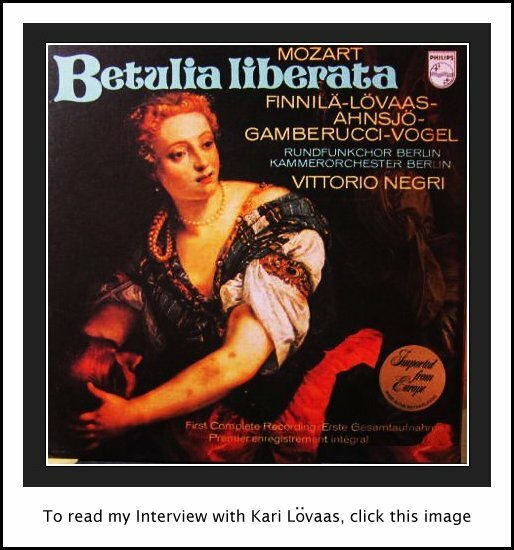 Before I had done Mozart, I did Beethoven, I did Vivaldi. They are very good musicians with all of this mucic which is rather straight. It’s done perfectly, but when you arrive to the Romantic period where it has to be free, then it’s much more difficult for them. I admire Japanese musicians because of the love they have for our music. I’m incapable of understanding their music, to be honest. I’ve not really the will to understand their music. Coming back to the Dvořák, I arrived in the moment in the first movement where the flutes go up, and I wanted to wait a little moment before coming to the next bar. So I explained this. Most of them speak English well. Some speak German and some speak French, depending from where they make their study. So I said, “Here I stay up with my hands because I don’t want you to go down immediately. Did you understand?” “Hai.” So we arrive at it and they went on. I stopped again and said, “Sorry. I would like to breathe a little bit there. That is why I stay with my hand high. I don’t go down, so please don’t go down. Stay there just a moment.” I tried to express myself clearly, to try to change the form and they said yes, yes, of course. So we go back and again they did not wait. BD: They didn’t understand your rubato? VN: No. I stopped again, and as a third time they were going on, then I didn’t stop anymore. I went on with them and the performance was very good but a little straight. But they are very good musicians, extremely good! Have you seen the children with Suzuki who walk playing the violin? VN: They are playing Preludes of Bach. Unbelievable! BD: Children with their reduced-sized violins! VN: Yes! Of course there are people who understand Romantic music. Seiji Ozawa, for instance, the Japanese conductor makes Romantic pieces beautifully. But of course he lived maybe forty years in Europe and the States, which makes still a difference. BD: Do you have any advice for young conductors coming along? VN: Yes. I would say the first rule is humility towards the great works that they have to study. They have to study the scores. One never knows really a score; even if he knows a score by heart, it is not completely known. Study, study, study, and again, study. Secondly, I saw unfortunately some young conductors who hate the musicians, who think they are enemies. This is the biggest mistake we can do. The musicians are friends, the best friends, because they want to do their best and they want to do their best that you want from them. Therefore, consider them as friends. Respect them; love them. For a young conductor this is very important. The people who play in orchestra are their best friends and they have to consider them. Always use love. Love is the answer to everything! That is my opinion. VN: I thank you, really. It was easy. You put me in a very good mood. To read my Interview with Felicity Lott, click HERE. To read my Intreview with Anthony Rolfe Johnson, click HERE. This interview was recorded at the Ravinia Festival in Highland Park, IL, on August 27, 1992. Sections were used (along with recordings) on WNIB in 1998. It was transcribed and posted on this website in 2012.